How often do you have an awesome friend who lives in a city that's practically named after her?! I spent a beautiful sunny day with my Estonian/German friend and teammate, Regi, as she tour-guided me all over her city, Regensburg. Her full name of Regina is Latin for "queen," and the Romans originally chose Castra Regina* as the name for Regensburg. Therefore, Regensburg is Regi's Fortress. You may remember Regensburg from my German Christmas market round-up back in December. This time around it was a lot warmer and that made it even better! We started our day by walking into the center to have an incredible brunch at Hemingway's. I had a cappuccino. This serves as the excuse for all of my hyperactive expressions in the rest of these photos. It was only right that we continued our meal by stopping into Cupcakery, and enjoyed our delicious desserts on the steps of Dom St. Peter. We walked along the Danube, Regi highlighting the oldest sausage stand in Germany, Historische Wurstküche, the magnificent Swarovski-enhanced Kristallkönigin ship, and eventually made our way to the 0941 Beach Bar. I would have never found these places if it hadn't been for Regi, a true local who really loves her city. Regensburg is easy to love, though, when you get taken to a sunny beach bar and feel like you're in Spain instead of Germany! Regi drove me all over her hometown of nearby Neutraubling, and we finished the day on the sun-soaked stones of the Walhalla. Just imagine an enormous Greek/Roman-like temple on a hilltop overlooking the Danube valley, and you've got the Walhalla. It's peaceful, it's relaxing, and it's one of those giant places that makes you feel happy and small at the same time. Nothing else matters on the Walhalla; it's just you, maybe a friend or two, your silent thoughts and quiet words, and the seemingly endless possibilities of earth and life stretching out before your eyes. 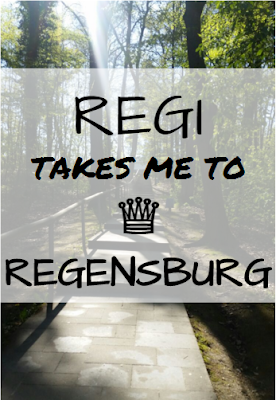 I'm so thankful to Regi for showing me her side of Regensburg. She wasn't just sharing her city; she was sharing her world with me, and it was an absolutely magnificent day full of good food, grand conversation, and great laughter.